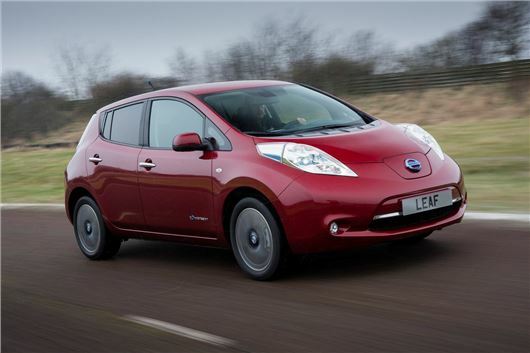 It’s now possible to get behind the wheel of a new Nissan Leaf for just £9879. Online broker DrivetheDeal.com is offering savings of £6111 on the Visia Flex model, which includes the Government’s £5000 plug-in car discount. The deal is available to all cash customers, but you’ll need to already own a Prius or Leaf to get the maximum discount. Customers who don’t own a qualifying vehicle will be able to negotiate a discount on a car-by-car basis. All Leafs are supplied as new, although Visia Flex models are only available if you lease the battery separately, which costs £70 per month on a 7500-mile limit on a three-year contract. There’s also huge savings to be found on nearly new Leafs. We found a 2013 five-door Visia Flex in our cars for sale section for just £11,333. Featuring 17-inch alloy wheels and finished in Storm White, the Leaf has covered just 15 miles from new and is sold with a full manufacturer’s warranty. Perfect for city dwellers, the Nissan Leaf has a range of 124 miles and can be replenished in just four hours using a 32A home charging unit.